Roulette is a chance-based casino game that can trace its origins back to 18th century France. Its position as the world’s foremost casino game came originally from its adoption at the famous Monte Carlo casino in the mid 1800’s where it quickly became the game of choice for the European elite. Next to poker, roulette is one of the most featured gambling activity in movies and the glamorous image that has resulted is perhaps one of the main reasons for its popularity as one of the most played casino games in the world. Roulette is played around a large revolving wheel which is divided into a number of pockets. In European Roulette there are 37 pockets whereas American Roulette uses 38. The pockets are both numbered and color coded. The pockets are numbered from one to thirty six. From numbers one through to ten and numbers nineteen to twenty eight, the even numbers are black, with the odd numbers as red. With numbers eleven to eighteen and twenty nine to thirty six, the even numbers are red with the odd numbers colored black. In the case of European Roulette, the 37th pocket is colored green and carries the number zero. American Roulette also has the 37th pocket but adds a further green pocket in the 38th position which carries the number of double zero. Every roulette game starts off with players betting on the outcome of where the ball will land and there are many types of bets that can be placed with varying levels of payout according to the chance of winning. Betting can be done on whether the ball will land on red or black, even or odd, a range of numbers such as one to eighteen, individual numbers or a combination of numbers, and the zero and double zero squares. With the betting complete, the croupier – who runs the roulette table – spins the roulette wheel, and then spins a ball inside the wheel in the opposite direction around the outside track of the wheel. It eventually lands inside a pocket, giving the result of the game for which bets can be concluded. Whilst the game is ultimately one of chance, the mechanism of number selection contributes a theatrical element that goes a long way towards making roulette such an engaging game to play. Things To Check When Looking To Play Online Roulette For Money. Roulette is a game that transfers to the digital world very well indeed. 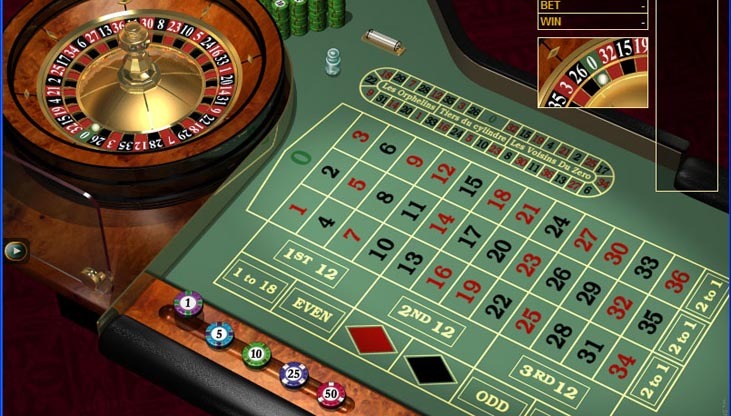 Online versions of the game mostly manage to give players the same sense of anticipation and suspense that comes from a live roulette wheel spin. Playing online however requires finding a good casino to play at – especially if you are looking to play online roulette for cash – and selecting the right casino is a decision that needs to be carefully considered. Once you’ve learned the basics with free games and are looking at moving to a paid for game, there are further considerations to take on board. Your first job is research; finding a list of casino sites and checking out user reviews. Pay particular attention to how quickly the sites pay out and make sure there are no issues with funding methods in terms of either deposit or withdrawal. With a list of possible casino roulette providers drawn up, your next step is to evaluate the sign-up offers. All games providers offer you an incentive to sign up with them, usually based around matching your initial deposit (in effect doubling your money) or even more. Sums of 200% of deposit and even 300% of deposit – three times what you originally put in – are not uncommon. Bear in mind that all deposit bonuses will come with terms and conditions attached. You won’t be able to just instantly withdraw all this extra cash and be in profit but will rather be required to play a set amount of money on the games before you can make any withdrawal. This is usually expressed as a multiple of the bonus on offer. For instance, a common one is requiring you to bet 15 to 20 times your bonus before you can make any withdrawals. For anyone thinking of implementing a roulette system of any kind, and who wants to observe the wheel’s performance in order to adjust tactics, having the ability to ‘free spin’ – the chance to spin the wheel without betting – is invaluable. Some games restrict you to three consecutive spins, others even less, so make sure you check the number of free spins available if it is something you’re after. Having gathered your list of providers with good reviews and checked the sign-up bonuses on offer, the next step is to check out the payment and withdrawal methods provided. You’re looking for a casino that accepts your preferred payment system – Paypal for example – and allows easy deposits and withdrawals without any charges. The final aspect to look at is the games themselves. This may seem far down the list of things to check for some but if the other factors we’ve considered aren’t in order, you will never enjoy the games on offer to begin with. To the untrained eye, all roulette games may look the same but there is variation. The difference between 37 and 38 pocket variations, for example, affects the odds of you winning. You’re more likely to win on 37 pocket wheels. The difference in your chances may be small but it all counts. Other points to bear in mind include the extras that come with online roulette games such as chat systems, customer support and the range of further casino table games on offer. These will often be the seemingly small matters that drive the final decision, all other things being equal. With our introductions out of the way, let’s turn now to looking at some of the major providers out there in the market. A long-established name in online betting, William Hill Casino carries the familiar branding of its parent company. It offers an immediate download of the casino software on its site and tempting signup bonuses of up to €300. A quick check of the terms and conditions of the bonus sees that it is 150% of the initial deposit, with a minimum deposit of 40 euros required and a maximum bonus of 300 euros on offer. In order to make a withdrawal from an account awarded a bonus, the new player must have bet a minimum of twelve times the amount of that initial bonus within the casino. The terms for roulette are even more restrictive with each euro bet only counting as a quarter of its value towards the total amount wagerd. The upshot of this is that anyone exclusively playing roulette will have to play through forty-eight times the deposit amount to in order to make a withdrawal. It’s also not obvious until you read the fine-print that the bonus cannot ever be withdrawn. After your first withdrawal of any amount, the initial bonus is removed from your account for good. These points aside, William Hill has a large choice of games beyond roulette to try, a nice interface and easy to use deposit and withdrawal methods covering a large amount of payment providers. Though Betfair is best known for its traditional betting interface for sports and other events, the casino offering is a relatively new endeavor for the company. Sign-up bonuses are prominently displayed on the homepage and they go even further than William Hill in offering a deposit bonus of 200% of your initial funding up to a total of £300. Looking into the terms and conditions, we find that this 200% carries the ubiquitous play through restrictions. This time the relevant number is thirty-seven times the deposit amount. Roulette is, again weighted negatively with each £1 bet on roulette only counting as 20 pence – one-fifth of its actual value. This means a player exclusively betting on roulette would need to play their deposit amount 185 times before they could withdraw their money. As we can see, bonuses are often not quite what they seem. Be careful of increasing your deposit budget to get more bonus. It’s often not worth it. In addition to several varieties of roulette, Betfair also provide a range of other casino table games to play and offer a streamlined deposit and withdrawal system that includes a wide variety of payment methods. As expected, the first thing on display when visiting the site is a prominent sign up bonus. This time there are two: a free £88 – no other funding required – and then a maximum of £100 when you make a deposit. Looking further into the terms of this, the ‘Freeplay’ deposit of £88 is valid for 14 days only. 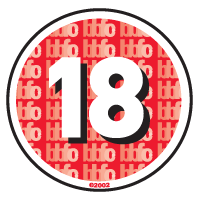 Any winnings from Freeplay bets are restricted to a maximum of £20 and will not be deposited until all the initial £88 has been played. Freeplay wins are also covered by the bonus play through restrictions and therefore not eligible for immediate withdrawal until 30 times the value has been played through. As with Betfair, roulette is only worth one fifth of its wager value towards the total. The £100 bonus is a 100% bonus of the value of your deposit – less than the others providers covered – but this is in addition to the free £88 so for many, depending on the initial deposit made, this could result in a higher total bonus. This bonus carries the same 30 times play through restriction as the Freeplay winnings, with roulette again weighted at one fifth of its actual bet value. The games themselves are very good with numerous roulette tables available, each with a different limit. They include European roulette, 3D roulette and even a live roulette version with an actual croupier spinning a real wheel for each round of the game. As I mentioned before, bonuses are not quite what they seem and the sheer amount of play through required to withdraw anything can be more an irritation rather than an a help. The providers offer more or less the same packages but 888 Casino stands out simply on the Live Roulette game which is an interesting feature. The various types of software used to provide online roulette and other casino games all have different options and capabilities but are provided by a relatively small group of software houses. Playtech is perhaps the most well-known software provider for casino games, and they were the first to introduce the option of a live roulette game with a real croupier spinning a real roulette wheel. Along with American and European versions of roulette, Realtime Gaming provide over 100 additional games within its software suite. Microgaming is the oldest supplier of online roulette software and has by far the most comprehensive range of games. American and European roulette games are offered along with French Roulette – a variation which includes several extra betting options – multi-wheel games, and various 3D versions of the games which include photo-realistic graphics and customizable views. Playing the game of roulette is fairly straightforward. Once you’ve decided upon your game provider, you’ll be asked to sign up for an account and deposit some money. After filling in your personal details and email address, your account will be opened and you’ll be prompted to make a deposit to fund your account. There will be various options to fund your account and – assuming you did the appropriate research beforehand and have chosen a roulette provider who accepts your preferred payment methods – you simply enter the payment details and deposit amount and away you go. One word of warning here concerns the bonuses for new players. As previously mentioned, these bonuses come with some stringent conditions attached so be careful of boosting your deposit amount simply to get a particular bonus level. It may not be worth it. Decide on your budget, make the deposit and go from there. Once you’re funded, you can look to start playing the actual game. You’ll start with chips representing different amounts of cash and a table in front of you on which to place them to set your bets. Most of your options here, as illustrated in the image above, are fairly easy to understand. Placing a 10 chip on the red triangle makes a bet of 10 – dollars, euros, British pounds whatever currency the account is in – on the ball landing on a red number. The same principle applies to even and odds. You can also bet on a range – 1 to 18 and 19 to 36 – by placing the appropriate chip onto that box on the table. The next line up shows the first twelve set of number, the second twelve and the third twelve. Placing a chip in these boxes puts on a bet that one of those twelve numbers will win. You can also simply put a chip on a single number if you have a hunch it will come up. By placing your chip on the edge of a number box, you can bet on two, three or four numbers with a single chip depending on how it was placed. Your chances of winning decrease as you narrow down your selection criteria of course but the potential winning payout goes up. Betting on a specific single number, for instance, gives a return of 35-1. Betting on red or black, even or odd, pays out 1 to 1. You can place multiple bets per spin as well. For instance, you can bet on both black and odd, or you could bet on several individual numbers at once if you like. Once you are satisfied with your bets, you spin the wheel, the game commences and tells you if you won or not. It’s important to remember that roulette is a game of chance and you should be careful not to get carried away gambling money you can’t afford to lose. As a fun experience though, roulette is a great game that you might even end up with a tidy profit from. Once you have amassed some winnings, and met the required bonus play through levels, you’ll want to withdraw some cash. This should be as simple as logging in to your account and requesting a withdrawal for whatever amount you wish. In most circumstances the withdrawal with be by the same method you paid in. For example, if you used a debit card, it will go to that bank account. If you used PayPal, the money would be deposited into your PayPal account. Note that the first time you withdraw money there is usually a small time delay for security reasons. You can find a great general video tutorial on how to play roulette at wikihow. 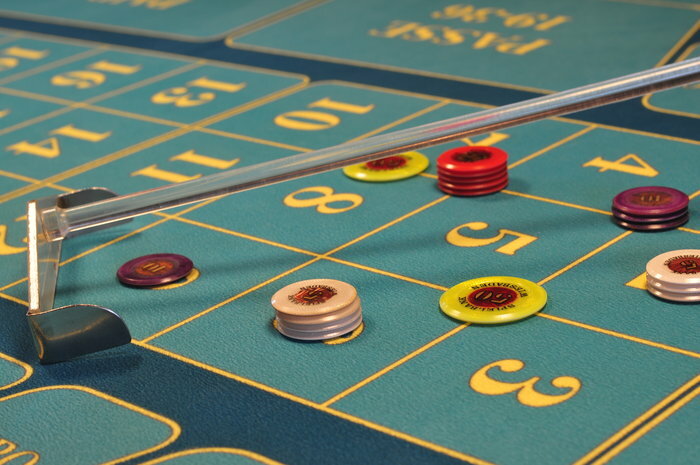 Because roulette is unquestionably a game of chance, many people think having a strategy for playing is actually counterproductive and that a new player who just places chips on random bets is just as likely to see a winning bet. Whether this is true or not is open to much debate but it’s fair to say that while strategy will not necessarily make you a winner, it could stop you making mistakes that lead to big losses – a good point for beginners to bear in mind. 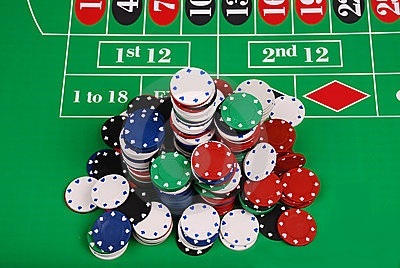 The first suggested strategy is simply to stick to European Roulette games with 37 pockets (no extra zero-zero pocket) as it offers better odds for the player. Make it a policy to stick to the simpler bets also. Though returns on red or black, even or odd and similar bets lower – you double your money essentially – you will have far more chance of winning this way. By limiting your bets within your available budget and taking low risk bets you can get a lot of play out of your money and often come out ahead. Another recommendation for beginners is being careful with how they manage stake money. There are two things this can achieve for you. Firstly it gets you plenty of game time from a given budget by maximizing the number of games you get to play. Secondly, and more importantly, it stops you from losing more than you can afford to. To get your money management in order before you start playing, set the amount you are prepared to lose and stick to it. If you get to that point, stop playing. Likewise, set a maximum amount you will bet per round and never exceed it in the heat of the moment. By sticking to boundaries in this way, you’ll avoid problems down the line. Once you’re playing, money management becomes even more important when you actually win. Don’t leave it all on the table to ride on the next bet. Take a percentage of winnings off the table and remember this is a game of chance. If you win two or three in a row and bank a nice profit, you have some money to play with further down the line. There are some systems around – such as the Martingale system – that advise you to double your bet when you lose and halve it when you win. However, the numbers can get very big very quickly when pursuing this strategy and it is often best avoided. Sticking to your limits and keeping your bets low risk is a much better proposition for having an entertaining game that could see you walk away with some extra cash. Can You Win At Online Roulette? The short answer is yes. The long answer is also yes but with online games using random number generators it is very difficult to be consistently profitable. With a combination of money management and basic roulette strategy you can make sure you get a good amount of entertainment from your money and possibly come out ahead. Roulette is a game that entrances us, the tension building as the ball decides where it is going to land. That’s the real attraction of the game. And while the promise of a 35-1 payout for a single number brings people in, the odds against winning are high. Stick to the low risk, low payout bets will pay dividends over the long term.